Old Grand Dad is an iconic bourbon brand—a venerable bestseller first distilled in 1840. And the icon on this icon is the old man himself, depicted on bottles either as a bust form or a line drawing: the distinguished patriarch of Kentucky Bourbon. But did you know that Grand Dad himself was a Marylander? Depicted on each bottle is Basil Hayden, Sr., who was born in St. Mary’s County and likely learned to distill there before buggingout in the 1780s for what would become the Bluegrass State. His whiskey-making grandson, Raymond Hayden, named the brand after, well, his old granddad. 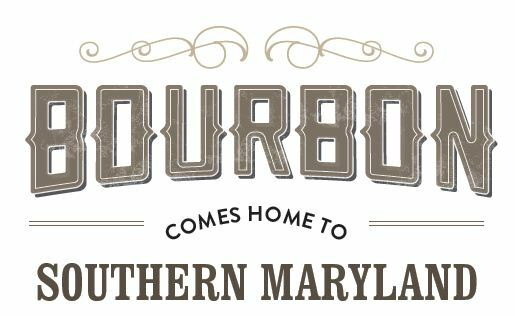 Today, Tobacco Barn Distilling sees itself as bringing bourbon-making back to its birthplace— Southern Maryland. Its straight bourbon (which is to say, aged at least two years) has recently started flowing out of the Hollywood farm in St. Mary’s County where it’s distilled and aged. Even the corn it’s made from is grown onsite. 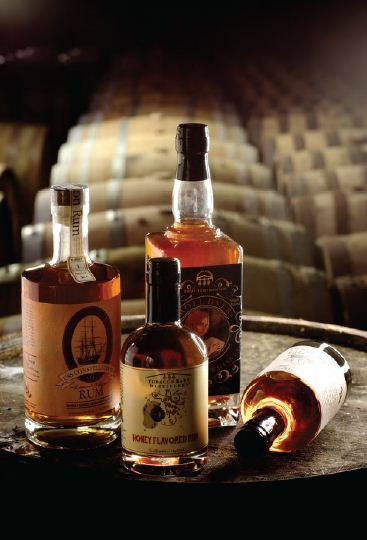 Historically, and in the current age of craft distilling, Maryland is considered rye whiskey country. But can our state horn its way into bourbon history as well? 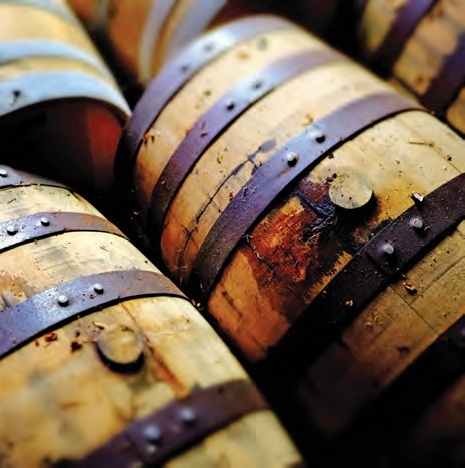 Did Grand Dad Hayden really make bourbon here before he ever set foot in Kentucky? Well, sorta. 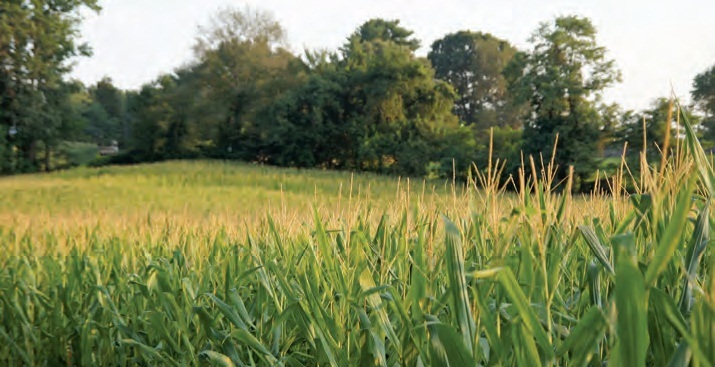 Rye was a grain ready at hand because it was a common cover crop for tobacco fields, but Sanders believes that corn, used as animal feed, also ended up in the mash bills of these proto-bourbons. Alas, it was Maryland’s about-face on religious tolerance that proved Kentucky’s gain. Though ours was the only colony founded by Catholics, following a socalled Protestant revolution in 1689, a series of anti-Catholic state laws began to be enacted. Ultimately, an exasperated Hayden led a couple of dozen Maryland Catholic families westward to the Bardstown area. 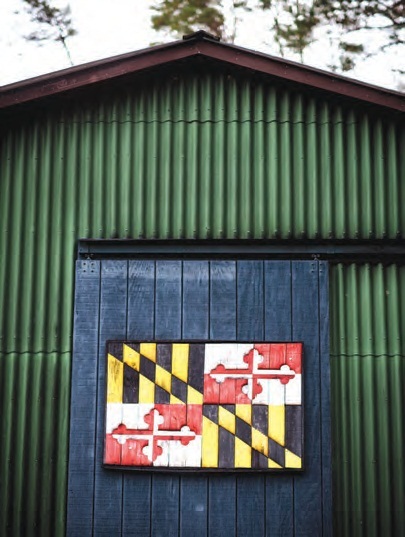 A much less murky history surrounds distilling’s legal return to Southern Maryland, which only dates to the late 1970s. Yes, that precedes the arrival of craft distilling. That’s because Tobacco Barn co-founder, head distiller and owner of the farm it sits on, Dan Dawson, cut his teeth making spirits not designed for human consumption. “I was licensed to distill ethanol by the federal and state governments back in the late ’70s early ’80s during the gasoline crisis,” Dawson explains. He received a grant from the Department of Energy for some fairly large prototype distillation systems to make fuel for tractors and other farm equipment, he says. But once that gas crisis abated, the ethanol experiments withered, and Dawson went off to study engineering and launch a career. Along the way, he met and became whiskeydrinking buddies with Sanders and neighbor Sean Coogan. And this is how the concept of craft distilling entered the picture, creating what Dawson calls a “serendipitous situation.” That is, three whiskey pals have turned their passion into a business, tapping Dawson’s distilling knowhow while keeping his fields purposefully lush with corn. The trio launched Tobacco Barn in 2013 and distilling began some two years later. 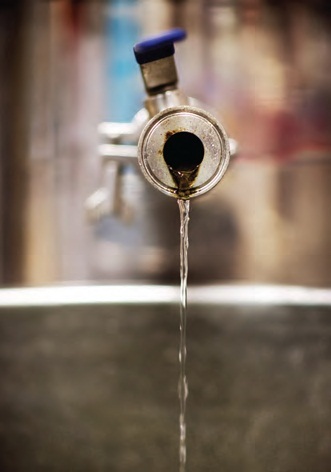 After learning this backstory, I motor south to see Maryland bourbon’s (re) birth first hand. Turning into the bucolic property, I see the namesake tobacco barn, a rustic circa 1830s structure of graying wood and tin, off to the right. Plans call for a tasting room in or near the old barn, but for now, they have no provisions for public visits. I continue down a rutted road along a cornfield to where it peters out at a collection of outbuildings. Outside one of them, Sanders is engaged in part of the glamorous work of creating whiskey. 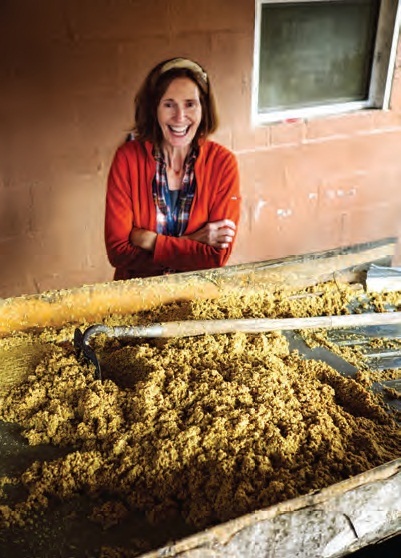 Only, it’s not Scott Sanders, but his wife, Jane, and the “glamorous” work is wielding a garden hoe to effortfully scrape soggy spent grain into a plastic barrel. 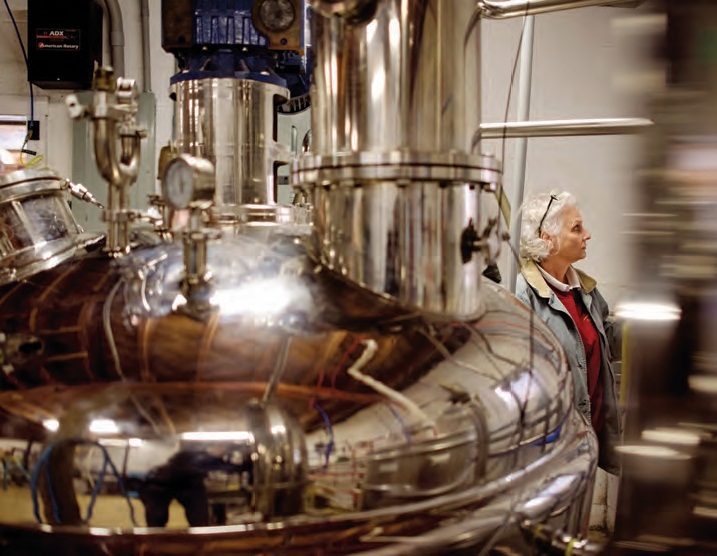 Though founded by three gents, the wives also roll up their sleeves to make the whiskey flow. “We’re the day shift,” Susan Dawson says, emerging from inside to help Sanders with the grain (which a farmer will pick up later to make his cows happy). Though her husband, Dan, built the works and is the brains behind it, she tells me, “We’re the laborers.” When the last of the cow-chow is ready for pickup, I’m led inside the somewhat cramped and noisy heart of the undertaking. A shiny new 300-gallon combination mash tun and stripping still is already at work heating a mix of grains and water. “For each run, we use 400 pounds of corn and 120 pounds or rye, which we keep upstairs where it comes down a shoot,” Dawson says. 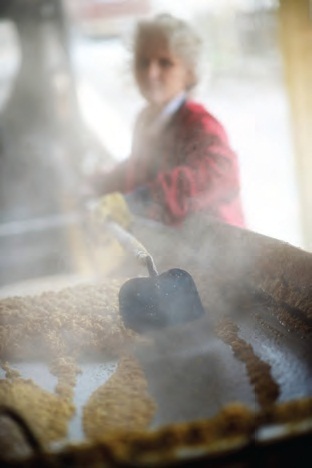 The mix is heated to 180 degrees and enzymes are added to convert the starches to sugar. That makes the Tobacco Barn bourbon’s mash bill roughly 75 percent corn 25 percent rye; the latter grain is grown locally, and both are ground at a nearby Mennonite-run mill. Each weekly bourbon run involves three such mashes, which translates to roughly 900 gallons of wort, or prefermentation blend. Once it’s fermented, in batches, the mix goes back into the mash tun—this time in stripping-still mode—where the volume is decreased by one third or more and the alcohol content cranked up to about 30 percent (60 proof). Finally, the liquid ends up in the 100-gallon spirit still, which produces about 106 gallons of “white dog” bourbon ready for barreling. Got that? Essentially, Sanders says, it’s all about pumping the fluid between different vessels and heating it up or chilling it down. “Rinse and repeat,” she jokes. A custom geothermal system is used for cooling and solar panels provide some of the heating power. The goal, it seems, is to keep the farm green in more ways than one. Once the process is begun, there’s a strict timetable to follow. Dan Dawson installed a computer system to keep tabs on it all, but the process still relies on the human touch. Sean Coogan punches in to do his part of the distilling process at 11 p.m. on certain evenings, while Dan Dawson has to roll in at 4 a.m. some mornings. It really is an all-handson- deck operation. Then, of course, all this hectic, timecrunched activity slows way down when the liquid hits the barrels to settle in for a multi-year nap. The women walk me across the farmyard to the rickhouse where barrels of all sizes are reposing. But that is changing as the distillery moves into consistent 53-gallon vessels, with a few 15-gallon barrels for special editions. Over 90 percent of the bourbon made so far is aging away here, though Tobacco Barn released some aged in 5-gallon barrels under the name First Landing. Also lurking amid all the oak is some rye whiskey, which the distillery makes on occasion (by simply flipping the bourbon mash bill to 75 percent rye). There’s rum here as well, though a few barrels are up in Baltimore aging onboard the USS Constellation in a unique ship-aging process that becomes their Constellation Rum. Rum was actually the first thing the partnership produced (Scott Sanders is a Navy man.). It was also the cause of a time-consuming, we-can-laughat- it-now snafu. They got their distilling license in December of 2015 and set out to make rum the following month. Their rum is made from molasses. And this was the dead of winter. COULD A STATE KNOWN FOR ITS RYE ALSO BE THE BIRTHPLACE OF BOURBON?